Hello, lovelies! Just so you know, the title isn't an insult or an attack, it's my new crazy idea for you. I have been reading Dr. Weston A. Price's book on his amazing work (Nutrition and Physical Degeneration). This book is OFF THE HOOK, YA'LL! If you aren't familiar with it, here's the basic deal. Dr. Price was born in 1870 and published his book around 1937. He was of Welsh origin and was born on a 200 acre farm in Southern Ontario. He grew up to become a dentist and a researcher. The book is written in layperson terms (albeit using very dated language - you have to just get over it and realize that his common language of the time did not hold the same volume of offensivity as it does today, ex: savages/primitives/calling everyone on earth "Indian", which, by the way, drives me up an insane wall). An-y-way, he travelled the world in search of native people groups who were sheltered and untouched by current "modern" diet (white flour, white sugar, refined messes of pretend foods laden with preservatives, etc.). His travels led him to the Loetschental Valley in Switzerland (which is my idea of heaven), people of the First Nations in Northern Canada ("Eskimos"), Native Americans, Melanesians, Polynesians, isolated African tribes, Australian Aborigines, Torres Strait Islanders, New Zealand Maori, and the native people of Peru. Seriously, thank GOODNESS he went when he did. I don't know if there is anywhere that survives on true traditional diets anymore. His purpose was to reach people who had not been exposed to the modern diet in order to see what was going on with their teeth (remember, he was a dentist). What he found was absolutely amazing. In each case, even though the foods were all different (people living by the sea ate tons of seafood, the Swiss ate the rye they grew and lots of high quality butter and cheese, some African groups ate almost exclusively meat, milk and blood), they had no cases of dental ill-health. Their teeth were straight, their palates were wide (so that the teeth were able to come in straight), there were no dental caries (cavities) or disease. This corresponded to their overall health. We do hear of this today, but I believe we hear of it in a backward way. You hear that people who floss and have good oral hygiene are more likely to have good overall health. I believe that instead of thinking brushing your teeth and flossing are the key to good health, that rather it is proper nutrition that promotes not only good dental health, but also the production of overall health to your entire body. I do believe you ought to be brushing and flossing, but I think your whole body will respond to proper nutrition, including your teeth. Now, to the dirt. In the "Practical Application of Primitive Wisdom" section, Dr. Price talks about how "primitive" treatment suggested that allergies be cured (and prevented!) by the use of kaolin clay. I only have done it once so far, so I don't know if I'm quite cured yet, but I'll let you know. So this spurred me on to check out other uses of bentonite clay. 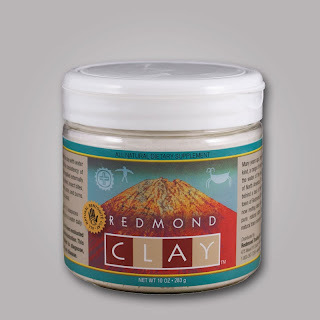 It is crazysauce the amount of things bentonite clay can do for you! 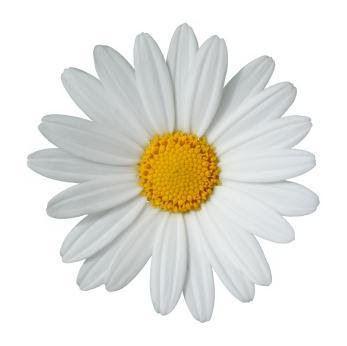 You probably know that you can help your bee stings and bug bites by making a paste of baking soda and water. Let me tell you, lovie, that ain't got nothing on bentonite clay. I was excited (and disturbed) to find that my dear hubby had some poison ivy so I could try out my new concoction. (Same day as my eating dirt experiment - the joy!) I made a paste and told him to slather it on in a thick and crazy way (I'm pretty sure if I were a physician, that's how I'd put it on the prescription label for instructive purposes). We put it on around dinner time and I told him to just keep it on for as long as he could stand it. I am not sure, but I think he either washed it off right before bed or slept with it on his wrist all night, so it was on for a while. Dudes, I am telling you what. He woke up this morning and there was NOTHING THERE. I don't know if this is normal or if we are just special, but the itch stopped and there isn't any red on his wrist. He was freaking out more than I was. I smiled, gave him a pat on the head and said something like, "Stick with me, kid. You'll be all right." Secretly I was cheering and clapping in my head. Bentonite clay works by being an adsorbent. Yes, I'm not dyslexic, I said aDsorbent, not absorbent. It has a crazy property of grabbing toxins and delivering them to your excretory system (like my beloved kombucha!). I am supposing that the allergic stuff got sucked out through his pores. Or magic. Either one. But the myriads of uses for such clays are prolific and multitudinous! Just listen to this. - gets rid of ZITS! - some people take 1/2 teaspoon in the morning with water to help with morning sickness during pregnancy. Ask your midwife or OB/GYN, first, though just to make sure it is okay for you. There are piles more of anecdotal cures that you could resesarch if you have the passion to do so. I thought it was rather exciting enough stuff to share with all of you, anyway. Skillful thorough, You guys are truly broadening on all this and it's great,I genuinely value your commitment to choice writings and I learned a lot from this.